We know that many young patients are nervous about visiting our office. We take the time to work with our young patients to make sure they feel safe, understand their treatments and don't hesitate to let us know when they need help relaxing or being free from pain. 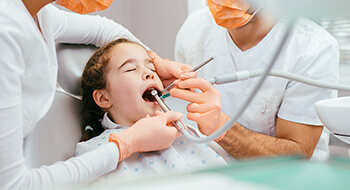 As part of our dedication to patient comfort, we also offer a wide array of dental sedation options to ensure your child is completely comfortable from start to finish. Contact our team to find out more or schedule an appointment for your children. 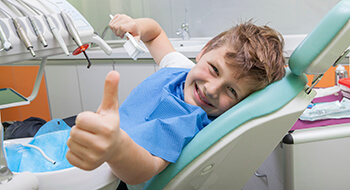 Our gentle, caring dentists and team offer safe, comfortable sleep dentistry for children of all ages in our Tappan, NY office. Dr. Jonathan Mendia has years of training and experience that allow him to offer safe, effective dental sedation for patients of all ages. He loves working with young patients, and he takes pride in keeping them safe and free from pain and stress throughout even the most advanced treatments. Like all of our skilled dentists and team members, Dr. Mendia takes pride in offering your children gently, attentive care to ensure they are comfortable throughout treatment. One of the longest used forms of sedation, nitrous oxide earned the name laughing gas due to the euphoric effect it has on patients. This is a reliable sedative solution for young patients who have some difficulty with phobia or stress during treatment. The nitrous oxide gas is inhaled through the nose during treatment and takes effect right away. Your child will be completely comfortable almost instantly, and we can adjust the dosage as necessary to maintain the sedative effect. Best of all, the effects of nitrous oxide wear away quickly, so your little one will be back to their regular activities in no time at all. If your child needs advanced treatments or struggles to stay calm during procedures, sleep dentistry may be the best option. We use intravenous (IV) sedation to keep your little one relaxed and pain-free. Like nitrous oxide, we are able to adjust the sedative doses throughout treatment while monitoring the child's vital signs to ensure complete safety and optimal comfort. Patients who receive IV sedation are relaxed, may nod off, but will remain alert for the most part throughout treatment. However, once the effects of the sedation wear off, patients typically have no memory of their treatment. Unlike nitrous oxide sedation, the effects of IV sedation are longer lasting, and your child shouldn’t return to regular daily activities for at least 24 hours following the beginning of treatment. If you notice your child feels dizzy, nauseated, or can’t concentrate after a full night’s sleep, please call our office right away. Make sure your little one avoids exhausting activities, stands and sits slowly, and drinks plenty of fluids.